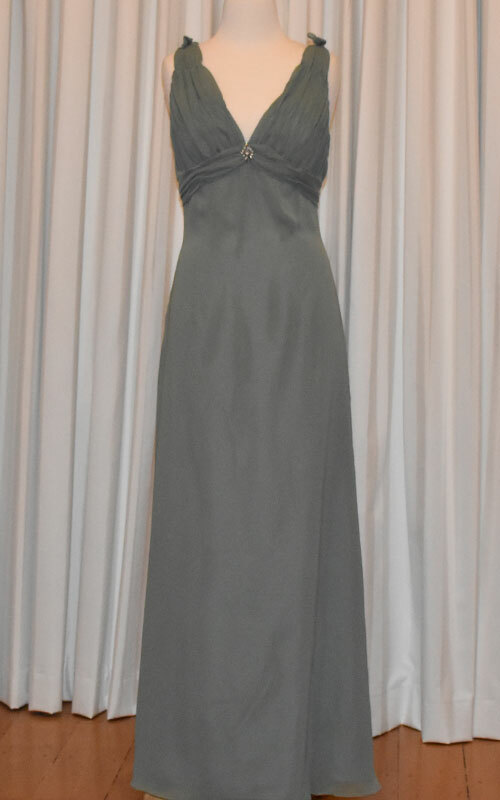 This sage evening dress has a gathered bodice. It’s made from chiffon which falls beautifully. Great for all formal occasions. It also features some beading under the bust in the middle and bows on the shoulders.